I usually don’t allow others to write for my blog. At times I will repost work from another news source and then make comments. 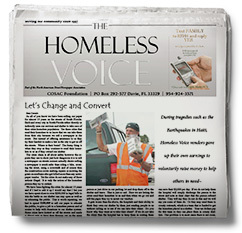 However with this story a person by the name of Mr. Torran King wrote this and sent it in to the Homeless Voice to be printed in our newspaper. When I read it , I said to myself , ” this guy knows his stuff ” It is just so truthful. Good Job Mr. King . A job well done. amount necessary to catch all the offenders. drunk patrons at local events. Check the arrest reports yourselves for most major events where drinking is involved. So the next time you think that “only homeless people” would urinate in places like your back yard, please remember that this plague is not so uncommon.